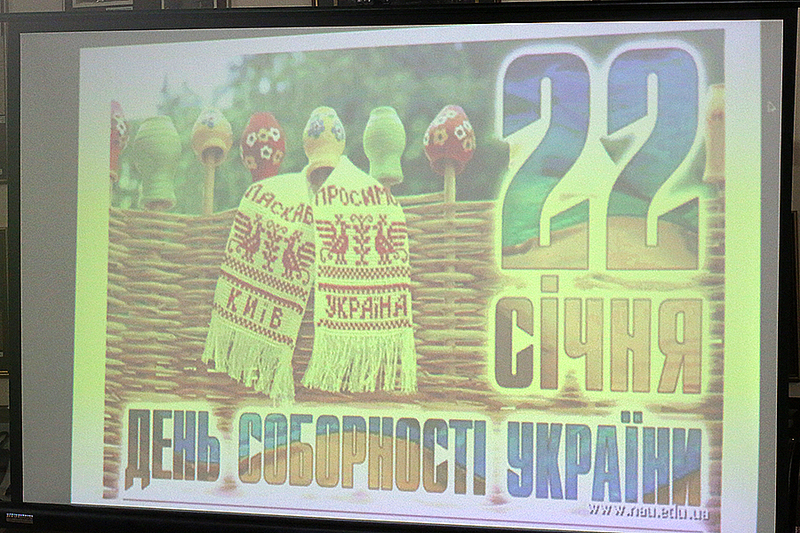 The Ukrainian Unity Day was celebrated at Luhansk Taras Shevchenko National University. For many centuries of enslavement, the most cherished dream of the Ukrainian people was independence, freedom and sovereignty. Famous lights of science, artists, and masters of the literary word fought for the revival of the Ukrainian nation and its own statehood. Despite the age-old contradictions and imperial ambitions of the invaders, the Ukrainian people proved that identity and national dignity are key positions for the creation of their own independent state. The Day of Unity came into the solemn calendar of the history of Ukraine as a holiday of Independence and Unification of the Ukrainian state. 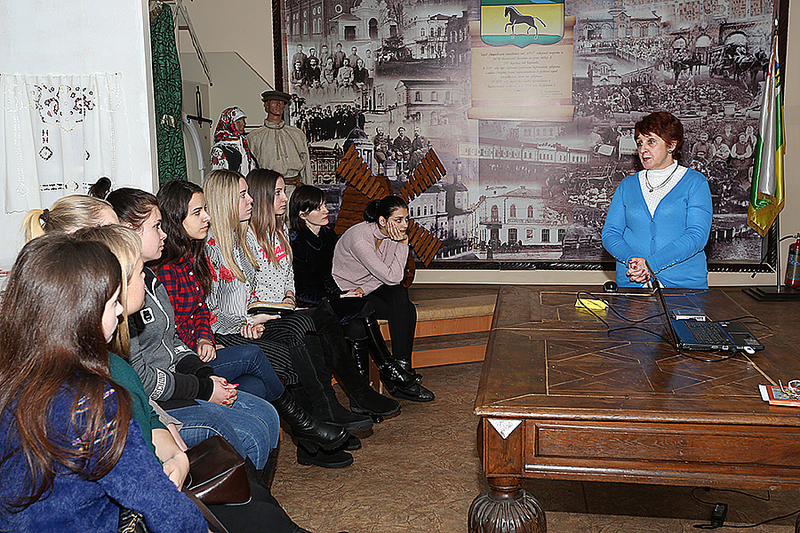 Noting the great historical significance of the unification of the Ukrainian People’s Republic and the Western Ukrainian People’s Republic for the formation of a unified Ukrainian state, students of the College of Luhansk Taras Shevchenko National University visited the Luhansk Regional Museum of Local Lore. 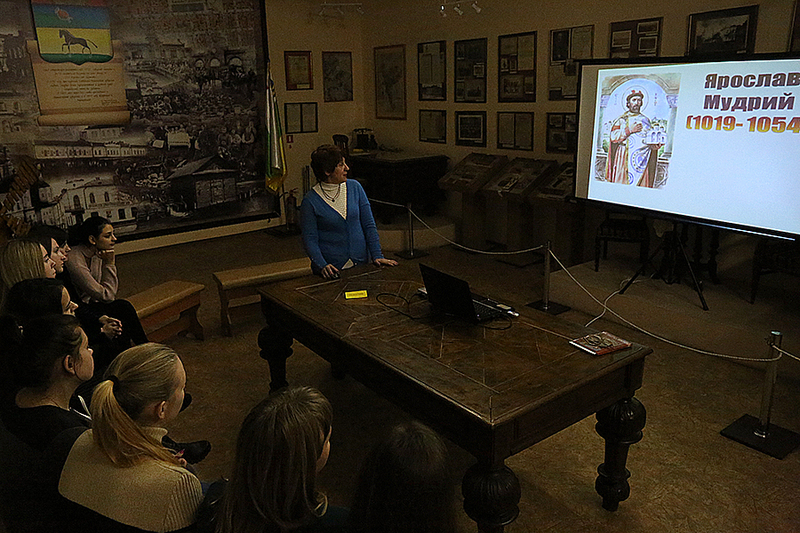 The museum staff told the youth about the history of our country, focused on the important role of the Cossacks and the Constitution of Orlik in the development of Ukraine. The students learned about the process of formation of the new era of Ukrainian statehood, noted the important role of each citizen in the development of the European country. 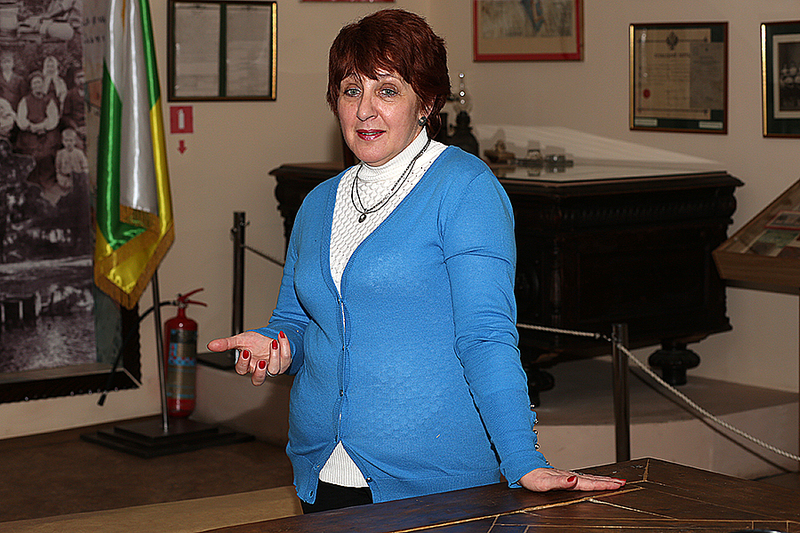 The audience watched the presentation and got acquainted with the expositions dedicated to the Ukrainian Unity Day and the anniversary of the liberation of Starobilsk land from the German fascist invaders. Today, the values ​​of unity, the holiness of the spiritual unity of Ukrainians acquire special significance. Every year the independence of Ukraine is the result of the indefatigable work of citizens to strengthen the internal power and unity of our Motherland, its transformation into a modern, European, prosperous country.